We live in a world where technology evolves every minute, heck, every second. Even before you’ve got the hang of something, it is replaced by something newer, better. The other day while I was watching an episode of “The Big Bang Theory”, I was intrigued by something I hadn’t heard of before – 3D printing. While the “Third Dimension” had crept into virtual space quite some time ago – 3D games, 3D movies etc. – I never really imagined it being introduced into print any time soon (though it has been available and used by companies in automobiles sector for the past 8-10 years). So the first thing I did after the episode was to switch on my computer and, as is the norm these days, turn to the tried and trusted Google Search to enlighten me on this topic. What is 3D printing? – An Overview. Imagine a future in which a device connected to a computer can print a solid object. A future in which we can have tangible goods as well as intangible services delivered to our desktops or highstreet shops over the Internet. And a future in which the everyday “atomization” of virtual objects into hard reality has turned the mass pre-production and stock-holding of a wide range of goods and spare parts into no more than an historical legacy. Such a future may sound like it is being plucked from the worlds of Star Trek. But lo and behold, 3D printing. The medium which can help us achieve these. There are a variety of very different types of 3D printing technologies, but they all share one core thing in common: they create a three dimensional object creating it layer by successive layer, until the entire object is complete. Each of these layers is a thinly sliced, horizontal cross-section of the eventual object. Imagine a multi-layer cake, with the baker laying down each layer one at a time until the entire cake is formed. 3D printing is similar, but just a bit more precise, and scientific if you may, than 3D baking. Two particular technologies are used in 3D printing – fused deposition modeling (FDM) and PolyJet. FDM printers essentially use thermoplastic ABS filament, that is fed into the printhead which melts the material and then deposits it layer by layer to build up the object. PolyJet printers, on the other hand, are more similar to regular inkjet printers, but instead of jetting drops of ink on paper, a PolyJet 3D printer deposits droplets of liquid photopolymer which is then cured (or hardened) by exposing it to ultraviolet (UV) light. 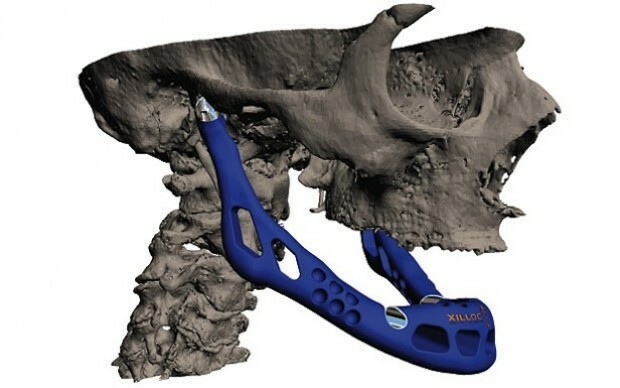 Each 3D-printed object begins with a digital Computer Aided Design (CAD) file, created with a 3D modeling program, or which was scanned into a 3D modeling program with a 3D scanner. To get from this digital file into instructions that the 3D printer understands, software then slices the design into hundred or thousands of horizontal layers. The 3D printer reads this file, and proceeds to create each layer exactly to specification. As the layers are created, they blend together with no hint of the layering visible, resulting in one three dimensional object. 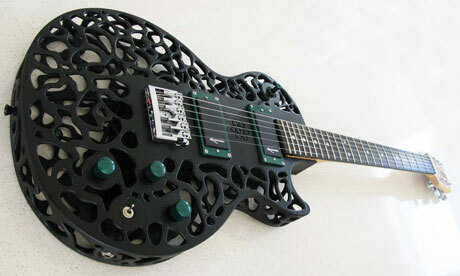 What can we do with 3D printing? The answer to the above question is simple yet complicated – anything. 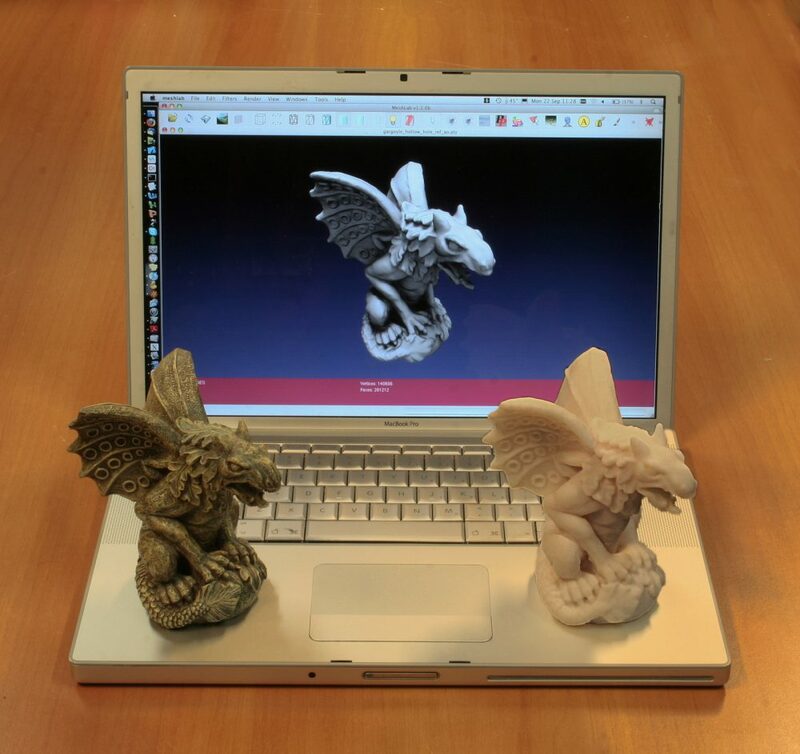 Once a science-fiction fantasy, three-dimensional printers are popping up everywhere from the desks of home hobbyists to Air Force drone research centers. The machines, generally the size of a microwave oven, cost from $400 to more than $500,000. From bicycles, toys, accessories to Nuclear warheads, guns and buildings. Anything and everything. Recently, a baby was afflicted with a condition that blocked his ability to breathe, professors at the University of Michigan developed a 3D-printed splint that saved the child’s life. 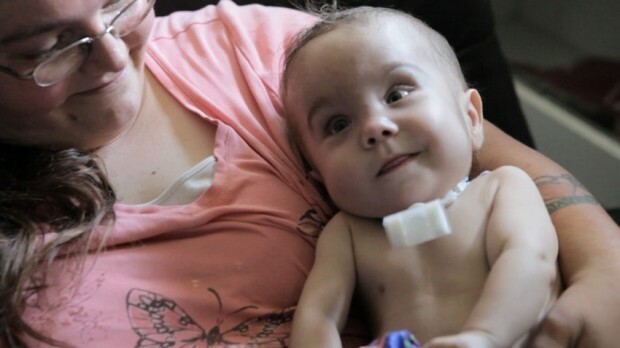 A 3D printed splint helped cure this baby’s breathing problem. The Wall Street Journal recently took a look at how three major U.S. manufacturers — Ford, GE and Mattel — are using 3D printing to cut costs and production times during the prototyping phase. Thanks to 3D printing, production time for one type of cylinder head, used in its fuel-efficient EcoBoost engines, is cut down from four to five months to three, shaving 25% to 40% off production time. New South Wales Police Force, the largest in Australia recently issued a public warning video about the ‘emerging worldwide threat’ of 3D printable weapons. 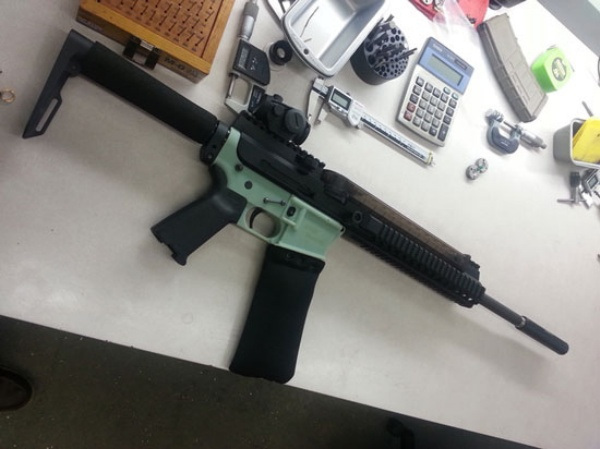 In a YouTube video highlighting the dangers 3D printable guns, Andrew Schipione, the commissioner for New South Wales Police, urges the public not to download the Computer Aided Design (CAD) files for the gun, known as the Liberator. He explained how his ballistics team had acquired a 3D printer, downloaded the blueprint for the weapons and assembled two possible future application is in the use of 3D printers to create replacement organs for the human body. This is known as bioprinting, and is an area of rapid development.pistols at a cost of just £22. When fired, a bullet from one of the guns penetrated almost seven inches into a solid resin block resembling human flesh, deep enough to kill any human. The other weapon fell apart when it was fired. Though some fear it is already too late. A May 21 Department of Homeland Security bulletin distributed to several law enforcement agencies across the country, and obtained by Fox News, basically states that there might be nothing that can be done to stop people from downloading and printing plastic guns. “Limiting access may be impossible,” the memo states. A possible future application is in the use of 3D printers to create replacement organs for the human body. This is known as bioprinting, and is an area of rapid development. 3-D printing is a disruptive technology of mammoth proportions, with effects on energy use, waste, customization, product availability, art, medicine, construction, the sciences and of course manufacturing. It will change the world as we know it. Before you know it.